Are you traveling or moving to Arizona? Do you want to avoid putting unnecessary miles on your car to get it there? If you currently live in Arizona or are thinking about moving to the state, auto shipping services are the easiest, fastest, and safest solution. Below you will find several perks to using our auto shipping services to ship your vehicle to its destination. Visit Arizona. It is much more cost effective. 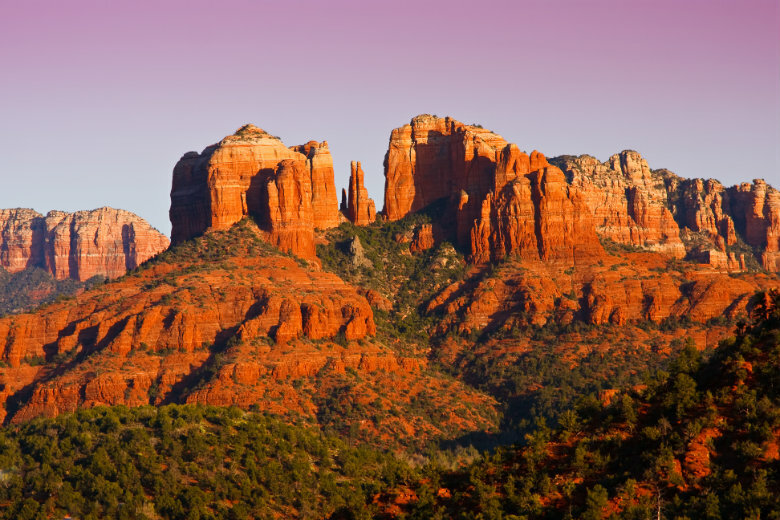 If you are needing to travel long distance to get to Arizona, the cost can be quite expensive. Driving requires gas, and you will also need lodging and food on your road trip. If you are traveling with your family, you could be looking at $40 a meal or upwards. This means that for food alone you are spending a minimum of $120 a day. Factor in hotels and gas you can spend around $400 per day just to get to your destination. If you choose to ship your car, you will not have to budget for these added expenses. Driving across the country takes a lot of time. This is time that you could be spending outdoors exploring your new destination, but instead, you are stuck in a car. If you are someone who gets stir-crazy, this could be a problem. Would you rather be driving your car for several days to its destination or would you rather be exploring? It is no secret that driving long distances puts your car at risk. You will expose your car to weather conditions and possible accidents. You will also add a fair amount of wear and tear on your tires which could result in you having to buy new ones sooner than necessary. You will also need to get your car checked after reaching your destination because fluids, such as oil, will most likely need to be replaced. 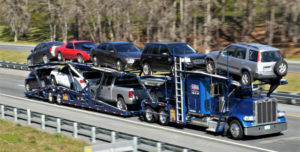 Choose a reliable auto transport company, such as National Dispatch, to ship your car. The vehicle will be transported safely to its destination, giving you peace of mind. After your car safely arrives in Arizona, take it for a spin at some of the state’s most popular attractions and destinations. You won’t be sorry! The Grand Canyon is a must-see for every person at least once in their lifetime. The breathtaking views are incredible and are worth the drive. The Grand Canyon – South Rim offers guests with a wide range of activities. Have you ever wanted to see the Grand Canyon from the sky? Well, you can from either a helicopter or small plane. You can also go camping. Camping enthusiasts have several different campsites to choose from. You can also go on a mule or horse ride through the South Rim. There is also the opportunity to take a guided hike or lecture on a variety of topics. These tours are offered through the Ranger Programs at the Park. One of the closest towns to the Grand Canyon is Tusayan. Learn more about the Grand Canyon. MIM is located in Phoenix, AZ and has been ranked the number one attraction in the city. The museum displays more than 6,500 instruments from roughly 200 countries and territories around the world. Nearly every display offers guests the opportunity to hear and observe the instruments in their original settings due to state-of-the-art audio and video. While visiting MIM, guests can head over to the Experience Gallery where they, too, can play some instruments from around the world. The museum also offers an Artist Gallery where professional musicians’ instruments are on display. The instruments of music icons, such as Dolly Parton, Tito Puente, Taylor Swift, and Maroon 5 are on display. Learn more about Phoenix and Phoenix Car Shipping. Located in Sedona, AZ, Cathedral Rock is a marvelous rock formation shaped like a cathedral. People who do not want to spend an entire day (or longer) at the Grand Canyon may want to consider Cathedral Rock. It is just a short hike, 1.5 miles, to the rock. Don’t be fooled, though. The hike is quite steep. Once at the top, you can have an up close and personal view of each saddle of the rock formation. You will also be able to see several different wilderness views. If you do not feel like hiking up the rock, there are plenty of hiking trails that go around the rock and into the Red Rock wilderness. Located in Tucson, AZ, the Mission San Xavier del Bac is a popular tourist spot. The Mission was founded in the late 1600s. The Mission is the oldest intact European structure in Arizona and still operates as a church. Unlike many other missions, there is no admission charge to visit. While people can donate to help with restoration projects, it is not mandatory. When guests arrive, they can visit the museum, which will provide more in-depth detail about the mission and how it came to be. Visitors can also light a candle in the church as a symbol of prayer. Before you leave, be sure to check out the gift shop. For those who want a fun family outing, pets included, Tombstone Western Theme Park is a great option. Located in Tombstone, AZ, the park provides tours, attractions, and the best Wild West performances. The award-winning cowboys are sure to bring a smile across your face with their performances and gunfights. Other attractions include mini golf, shooting gallery, trolley tours, and an old time photo shop. Their gift shop offers a wide range of souvenirs, including handmade jewelry and decor. If you are looking to move to the Arizona area and are in need of auto shipping services, contact National Dispatch. We are a nationwide auto shipping company with years of experience. We ship cars, trucks, SUVs, vans, and motorcycles for both individuals and businesses. No matter the situation, vacation, corporation relocation, or residential move, count on us to transport your vehicle safely. Request a free, instant auto shipping quote. No personal information is required. We can also be reached at 800-321-2051.